The Old North State is a place where great fishing locations are so widespread and abundant that choosing just one can turn into a real headache. And that’s not even mentioning the amazing fly fishing NC is known for. Several factors count into it, with the Western North Carolina Fly Fishing Trail taking the cake. 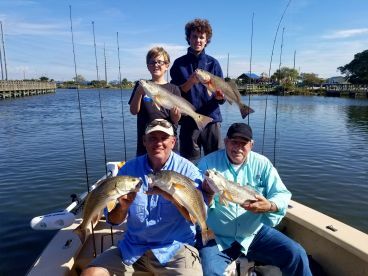 Add to that a seemingly boundless supply of Trout as well as high-quality saltwater fishing on the Gulf Coast, and you’re left with angling paradise. The outstanding Trout fishing is what most fly anglers will be coming to North Carolina for. Think Rainbow, Brown, and Brook Trout, loads of them. 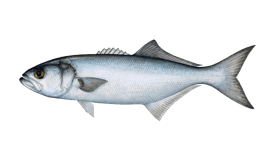 On the other hand, Tarpon, Cobia, and Redfish will give you a run for your money out in the saltwater hotspots. As with the other states on the lower half of the East Coast, you’re able to choose between saltwater and freshwater fly fishing here. The further west you go, the better you can expect the latter to be. 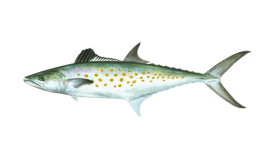 Some of the absolute best freshwater fly fishing in North Carolina is in the mountain ranges and the famous Fly Fishing Trail. The pride and joy of freshwater angling in North Carolina, the Fly Fishing Trail is the only one of its kind in the entire country! Located in Jackson County, it boasts more than a dozen different areas where you can treat yourself to some world-class fishing. The logical place to start is with Jackson County’s main body of water, Tuckasegee River. Year after year, it continues to be the best Trout stream in the country for fly anglers. The main species found here are Brown, Rainbow, and Brook Trout, and they make up the famous Tuckasegee Slam if you can catch them in one spot. Trout Unlimited includes Nantahala River as part of the Top 100 Trout Rivers of North America. Fly anglers will definitely agree with that claim when they see miles and miles of pocket water crawling with Trout. Anyone looking for a place to go wading in the Great Smokies should put this popular river on the top of their list. Located half an hour’s drive from Asheville, Davidson River mostly contains Brown and Rainbow Trout. Sharp-eyed anglers will notice that the river is crystal clear even following the annual spring rains. As is the case for most spring creeks, be sure to run with light tippets in the 6X–8X range. Davidson River is a strictly catch-and-release fly fishery. Flowing through the Appalachian Mountains for 213 miles, French Broad River is one of the most diverse fisheries in the USA, if not the world. With the likes of Trout, Smallmouth and Largemouth Bass, Panfish, Muskies, and more, you can count on a good time when fishing here. The only downside is that the river is difficult to navigate for anglers who aren’t familiar with it, so hiring a guide comes highly recommended. Forney Creek might not be as popular as some of the other populations we listed, and that’s one of its advantages. A more remote location means you can count on it being less crowded even during peak fishing season. This Brown and Rainbow Trout fishery is best suited for the fly angler who wants to get away from it all and enjoy the serene sights while fishing. 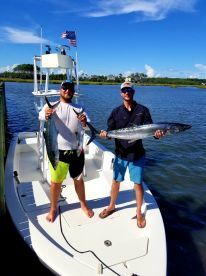 When it comes to saltwater fly fishing in North Carolina, Pamlico Sound is the main attraction with the most to offer. 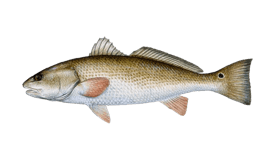 Summer is the best time for fishing the Sound because you can not only find some big Redfish, but also sizeable Tarpon and Cobia. Chasing a 100 lb Cobia with a fly is far from a run-of-the-mill fly fishing experience. Freshwater fisheries in North Carolina are very diverse, but you won’t get a headache when preparing your fly gear for the trip. Your rod size should be somewhere between 7–9 feet to be viable in the various bodies of water available. A 6 wt class rod will serve you well in all the freshwater fisheries, but you’ll need to go much heavier for saltwater. You can make due with an 8 wt for bigger Redfish, but 10–12 wt rods are a must for Tarpon and big Cobia. Foxy Minnow flies are very popular with local fly anglers, thanks to their versatility in both saltwater and freshwater conditions. Patterns like Griffith’s Gnat or Caddis Nymph Flies are more specialized for freshwater angling. Of course, don’t be afraid to experiment, as you might be very pleasantly surprised. While river fishing is great all year long, the best time to give it a shot is late fall. 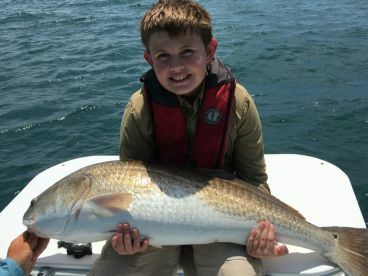 Summertime is best for going after saltwater species, but nothing is firmly set in stone. 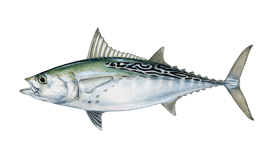 That’s something to keep in mind during your time fishing in NC – there’s always likely to be something new and exciting around the corner, go find it!